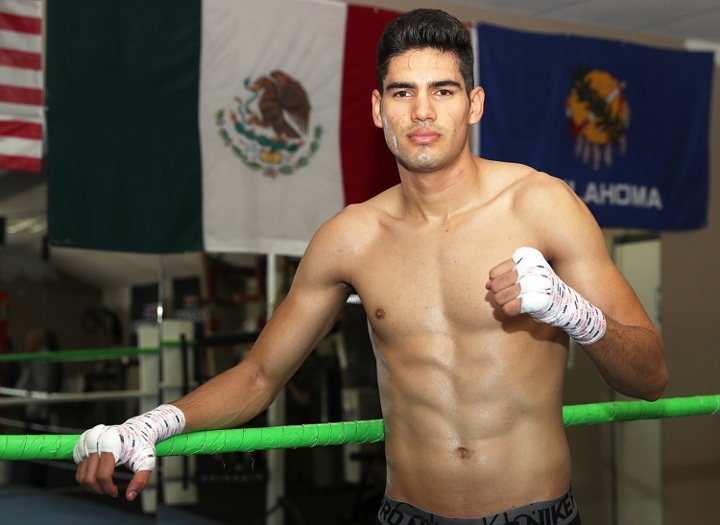 Mexico’s Gilberto ‘Zurdo’ Ramírez is training hard for his scheduled debut at 175 pounds, which takes place on April 12 at the Staples Center in Los Angeles. 27 years of age and a record of 39-0 with 25 knockouts, the native of Mazatlan, Sinaloa, is still the super middleweight champion of the World Boxing Organization, but he intends to climb to a top position in the top 10 pound-for-pound rankings. And he knows that he can achieve two things, unify at 168 pounds or fight a new title in 175. “I feel like I’m in the best moment of my career, I want to make history and get what I want, but on the other hand I am more motivated than ever, I have Priscila, my fiancee, who supports me unconditionally and that helps me to keep growing. My family is going to grow, my son Braulio is already waiting for his brother, Franco, who is on his way,” said Ramírez to ESPN Deportes. After many years of working with the Zápari family, ‘Zurdo’ took over the services of coaches Julian Chua and Joel Flores, with whom he gets ready to face Tommy Karpency in a few days in the main supporting bout of the Top Rank card they will star Vasiliy Lomachenko and Anthony Crolla and that ESPN will broadcast. “I feel happy with Julian and Joel, very motivated, I learned a lot in each training session and above all, they are always intense when training, I feel like we’ve been working together for a long time even though we have only been for eight weeks,” said Ramirez.